The past few months have been quiet at the station in terms of shouts, but work continues with training at sea and ashore. We are delighted that our all weather lifeboat Alan Massey is back on station again. She had been sent to the UK for works in December and she just made it back in time for the crew to attend the lifeboat dinner on 28 February. Congratulations to Aidan Bushe and Ronnie Carthy who received Long Service Badges at the dinner. Both have served on the lifeboat for over twenty years. A major piece of work has been progressing behind the scenes for the past two years under the steady hand of Michael Walsh our Safety Officer. The Community Lifesaving strategy aims to reduce the loss of life from coastal accidents by 50% by the year 2024. 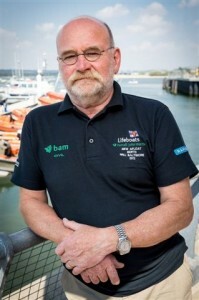 RNLI research has found that serious incidents have not only occurred on traditional coastal activities like sailing and motor boating but also in another eighteen other activities both on and by the waterside. Community Lifesaving Plans have been developed in over thirty locations throughout the UK and Ireland using this research and local lifeboat return of service information. In Ireland Baltimore was selected as the pilot station for implementation of this strategy. This plan will focus on kayaking, commercial fishing and leisure boating with various different interventions being used. These include face to face advice, School and Youth Education and retailer support. The plan aims to end loss of life and the reduce incidents in the Baltimore area through working with the community to help people make safer decisions, provide a safer environment and to ensure rescue cover.